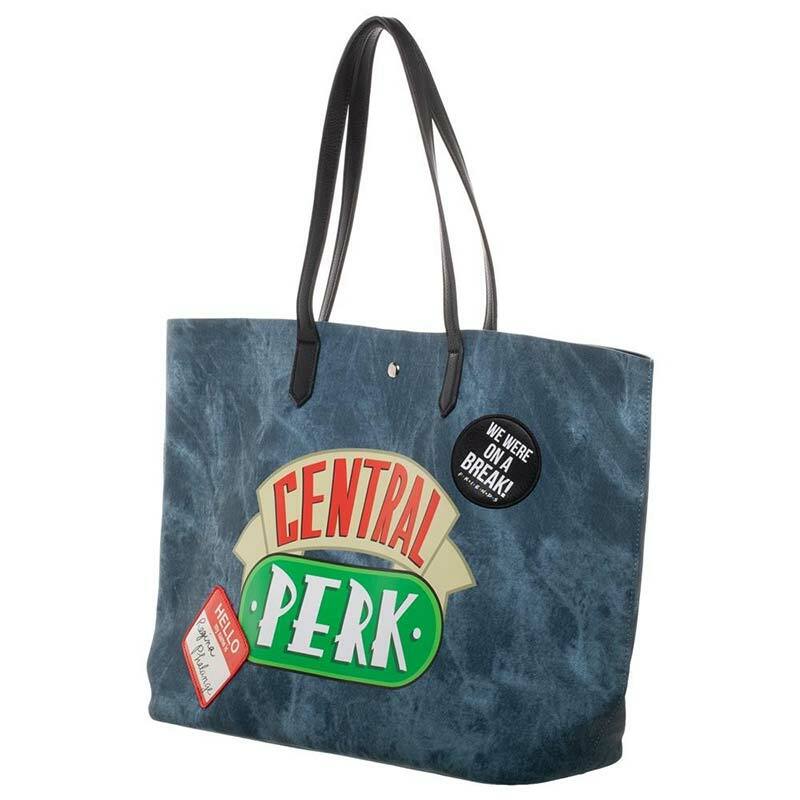 Friends blue tote bag. 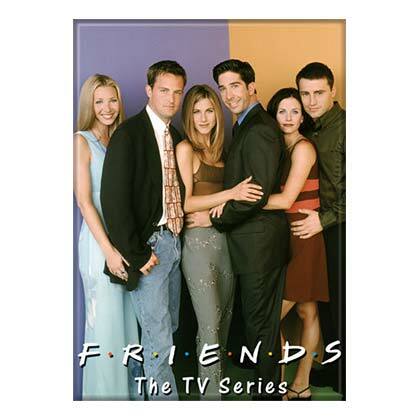 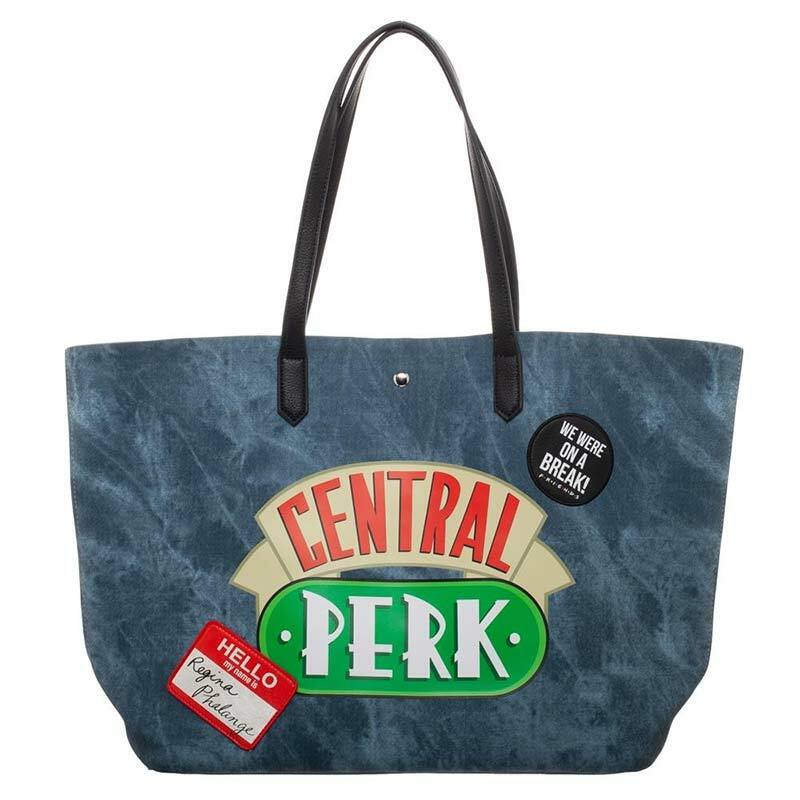 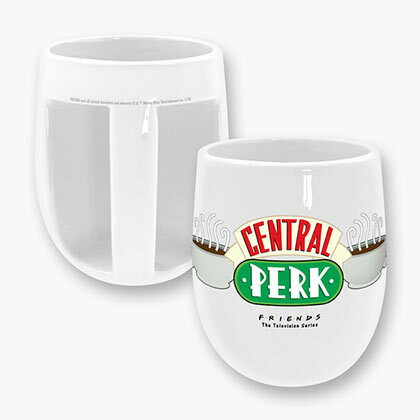 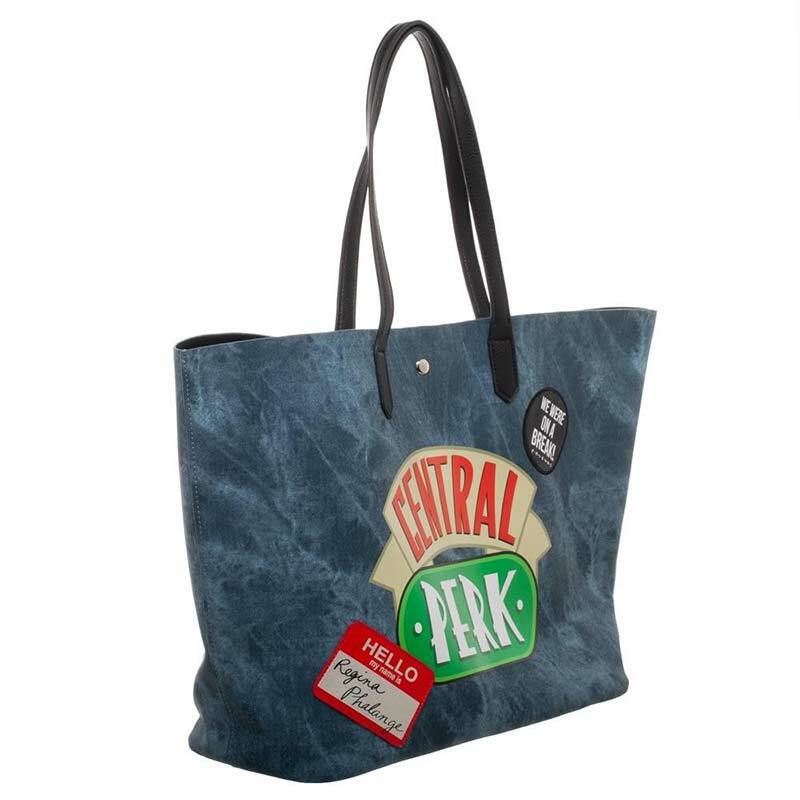 The polyurethane exterior features the "Central Perk" logo. 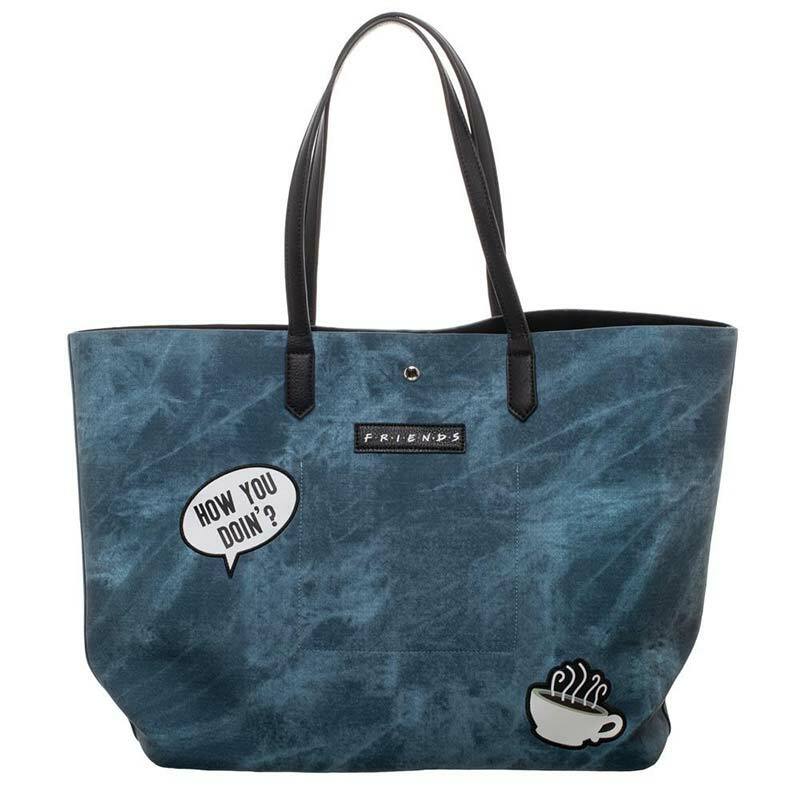 Comes with faux suede interior and snap closure. 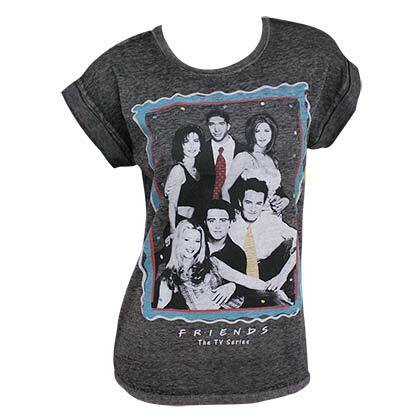 Measures approx.19" W X 13" H. Officially Licensed.